At SRB our goal is to make the process of Recycling or Disposal of Tritium, Self-Luminous Exit Signs fast and easy. A courteous staff that is well versed in the regulatory requirements related to Self-Luminous Exit Sign Disposal. Step by step assistance. From completing the initial paperwork until the shipment of Exit Signs leaves your facility we’re here to help. The most competitive prices in the Tritium Sign Disposal industry. Quick turn around. SRB will process your request for Tritium Exit Sign Disposal and have you ready to ship within days rather than weeks. A fully licensed US shipping destination. 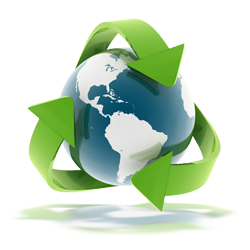 Shipping Tritium Signs internationally for Recycling or Disposal is complicated, time consuming and expensive. Whether you’re in need of Tritium Disposal services for just one Tritium Sign or for hundreds let the knowledgeable staff at SRB help make completing your Tritium Sign Disposal project fast, easy and affordable.